Part memoir and part positive body image manifesto, this is an insider's perspective on the industry and how the images the world gets to see are only part of the story. The modelling and advertising industries persistently tell women they're fat, ugly and abnormal if they conform to anything other than a western ideal of beauty. 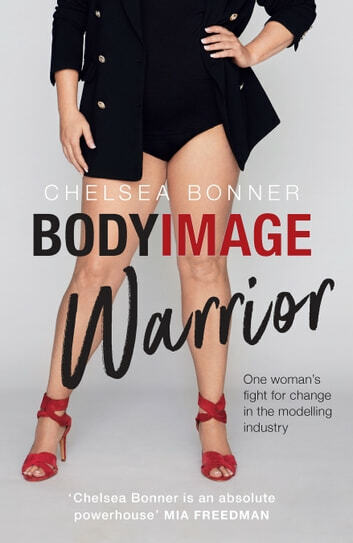 In 2002 Chelsea Bonner founded BELLA, a modelling agency focused on healthy body size and dedicated to changing our dangerously narrow perception of 'beautiful'. Chelsea was born into the Australian entertainment industry, daughter of one of the country's most famous media couples, and grew up with the painful reality of her family life hidden behind a facade of gloss. She was expected to follow effortlessly in her parents' beautiful shadows, but her natural body shape led to teenage rebellion. Instead, Chelsea decided on a career as a modelling agent and, shocked at what she witnessed, became determined to change the industry from within. She has fought on through illness, broken relationships, the collapse of businesses and exclusion by powerful industry forces.